Whitehall Day Sailor Sundial has a sailboat gnomon. 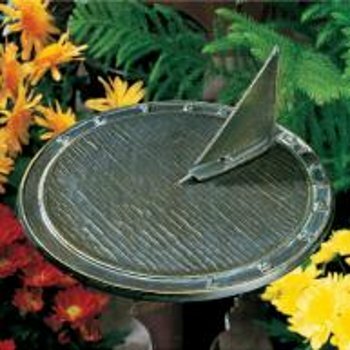 It sails on the waves depicted on top of the sundial. The tall sail casts a shadow on the sundial, showing the time on the outlying numbers.